We are delighted to announce that the ‘Beth-Nahrin-Wien’ foundation (founded in Vienna in 2009) will again award a prize of 3000 Euros to an outstanding individual or institution. The prize honours courageous and dedicated work on behalf of our people in all parts of the world. The foundation seeks to promote the identity and culture of our people and to support the development of engaged and critical minds. We want to honour individuals who inspire others through their deeds and who are prepared to fight for their rights and ideals. Human beings who do not turn the other way in difficult situations are our heroes. Therefore, dear friends, do not hesitate to nominate a person or an institution who you would like to see recognised for their achievements. Nominations must be submitted in writing. Deadline for submissions is Monday 30 September 2013. The award ceremony is planned to be held in Vienna at the end of October 2013. Nominees can be individuals or institutions who work in literature, the arts, music, politics, charities and more. 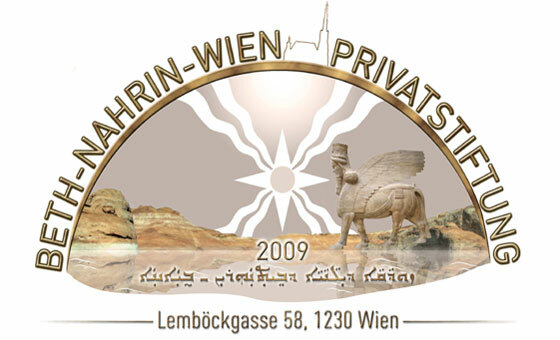 The ‘Beth-Nahrin-Wien’ board of directors will nominate the award-holder on the basis of all applications received. We greatly look forward to receiving your nominations!